Apart from one crash Sebastian Vettel had reason to leave Barcelona feeling optimistic. FOR the first seven-and-a-half days of pre-season testing, that rarest of things in Formula 1 - universal agreement - was in danger of taking root in the Circuit de Catalunya paddock. Everywhere you turned, everyone was in agreement: Ferrari were ahead. Sure, there was debate about the size of their advantage. 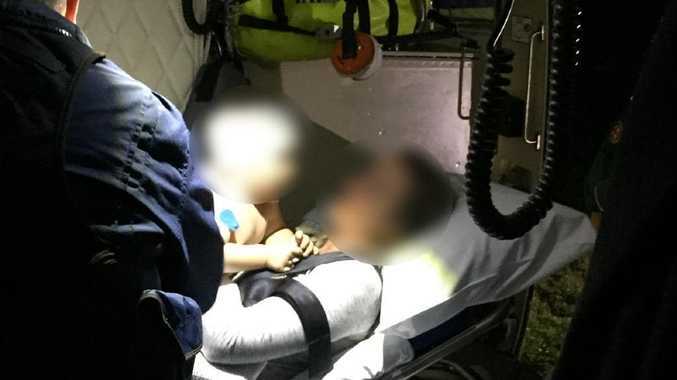 Many reckoned it to be around the half-second mark. Some thought it somewhat smaller but still significant. But there was absolutely no disputing that Ferrari were quickest. Red Bull admitted as much as early as week one. And Mercedes accepted their deficit at every stage. Lewis Hamilton pulled no punches in his media briefing midway through the final day, telling reporters that not only were Ferrari ahead but their superiority probably stood at around half a second. And then Hamilton got back in the Mercedes car to do his talking on the track on the final afternoon and promptly made a mockery of his own assessment. First there was a lap of 1:16.6 on the C4 compound to serve notice that Mercedes' demise had been terribly exaggerated. Then he put on the C5 tyre, the fastest-available, and set a 1:16.221 which all-but matched the seemingly-unassailable benchmark Sebastian Vettel had registered in the morning as the fastest time of the European winter. This was Mercedes revealing their hand with a big punch. Day eight of F1 testing was the day when everything you thought you knew after the first seven days turned out to be bunkum. Ferrari might well still be in front when F1 arrives in Australia in two weeks' time but Mercedes are there or thereabouts. Lewis Hamilton finished on a high. Still, there are important caveats to note. While Hamilton's 1:16 lap on the C4s was, tyre corrected, probably the best of the week from Mercedes, a lap Vettel snuck in under the radar just before lunch on the final day may have been the most important of the winter. A 1:16.720 may not sound such a big deal. But on the C3 tyres, it was in a different league to anything else seen. 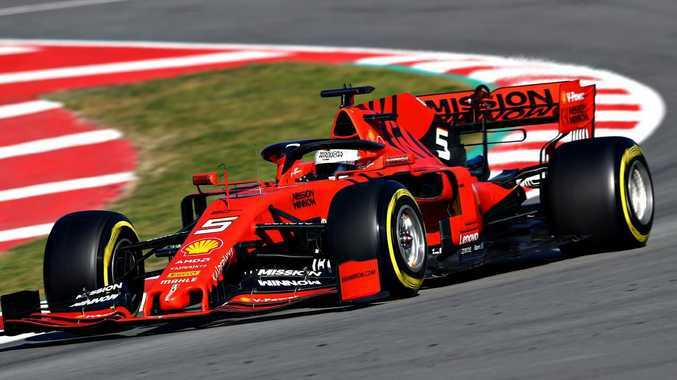 Sky F1 analyst Karun Chandhok reckoned that, with the tyre offset accounted for, it translated into a time of 1:15.770. If so, that would put Ferrari back into the half-second advantage territory. That's the thing about testing. Even when you think you know, you don't. There are too many variable at play. As Hamilton himself had earlier noted: "Testing is testing. We don't know because everyone has different engine modes and fuel loads. It will be four races before we really know where we stand." Ferrari have had a mightily impressive winter. Their favourites tag for Australia has been well earned. But their winter also ended on a slightly discordant note. On Wednesday, a mysterious failure around the front-left of the car saw Vettel pitched into the barriers and their afternoon written off. On Thursday, when the impressive Charles Leclerc was at the wheel, an exhaust issue ended his running prematurely. 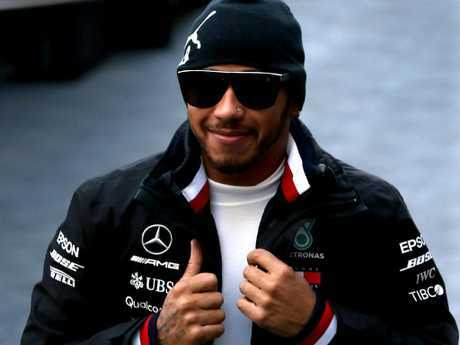 And on Friday, when Hamilton and the world champions suddenly emerged from their winter hibernation, Ferrari had already packed up because of an irritating electrical fault. Is the Ferrari fast but unreliable? Maybe. But one thing we do know for certain is that Mercedes set more laps than any other team this winter - 1190 compared to 997 for Ferrari and 961 for Renault. It's a frequent refrain of paddock sages around this time of year that the laps completed chart at winter is the most reliable indicator of the pecking order rather than the fastest laps listing. In two weeks' time, when F1 arrives in Australia for the season start, we'll start to really find out. 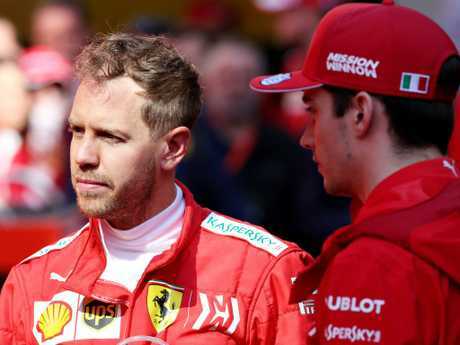 Charles Leclerc and Sebastian Vettel led the way for much of testing. RED BULL: DARK HORSE FOR 2019? Red Bull finish F1 Testing as the biggest enigma. 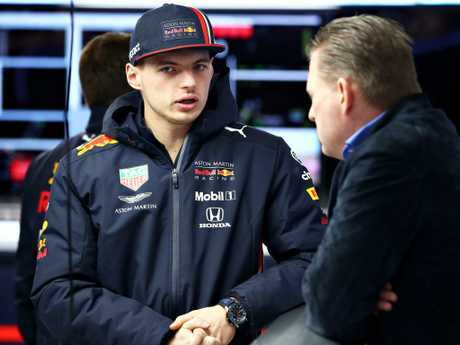 They were the only team who failed to post a representative low-fuel time - Max Verstappen finished with the fifth-slowest time of all - and still haven't pushed that Honda engine to see if they really do have the required power increase to truly challenge their rivals in qualifying. But there is also genuine belief they are better-placed to push Mercedes and Ferrari much closer this year. That's partly because of the race simulations Red Bull completed in full that would have seen them fighting for victory, but also because of Toro Rosso's performance. If Alex Albon can knock out a 1:16.8, just six tenths off Vettel, just what could the senior outfit have done? Verstappen, meanwhile, is convinced Red Bull have a stronger baseline this year with their RB15, while Hamilton has already talked up the former world champions' ability to out-develop Mercedes and Ferrari through the season. "Melbourne will be better to see where we are," said Verstappen. There, Red Bull won't be able to hide any more pace secrets. Big things are expected of Max Verstappen this year. This is the best prepared McLaren have been heading into a new season since their days with Mercedes engines. The Woking team completed 874 laps, more than they have ever managed over two weeks in Barcelona, and even topped the timesheets on two of the eight days with Carlos Sainz finishing with the seventh-quickest time overall. Now, while we're not about to suggest McLaren will be back on the podium in Australia, a trouble-free and surprisingly speedy winter was just what the team needed as they look to begin their journey back to the top. It's difficult to gauge where they stand in an extremely tight midfield battle, but sporting director Gil de Ferran summed up McLaren's mood aptly. "We came here wanting to do a lot of laps, put in a lot of miles to ensure reliability - and I think we ticked the box. We came here wanting to understand our new car and make sure it was doing everything it said on the tin - and we accomplished that," he said. "We wanted to integrate our new drivers into the team and prepare them the best we could for the season - and I think we ticked that box too. "On those three categories, do we get a 10 out of 10? I wouldn't give ourselves that, but I think we got a decent score." Mission accomplished in terms of F1 Testing for McLaren. WILLIAMS SET TO START 2019 AT THE BACK? After turning up late in Barcelona, Williams have done an admirable job in completing the majority of their testing program in a single week. The Grove team even managed more laps than all but three teams - Mercedes, Renault and Haas - during Test Two and suffered no reliability issues of note. But there's just one problem. The pace. 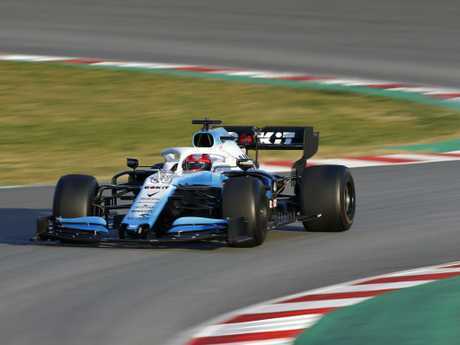 Williams were trying shorter, low-fuel runs with the FW42 on Thursday and Friday, just like their rivals, but their best time of the winter stands at a 1:18.130 from George Russell. Even looking favourably upon the iconic team, that would leave them with a deficit of around half a second to the nearest midfield runner. Under-fire technical director Paddy Lowe wouldn't even comment on lap times when asked, responding: "One of our bigger objectives is to show we're on the way up and not the way down. It's not something you necessarily read in lap times." The delayed car does look to be an improvement on last year's backrunner but with other teams making huge strides, and Williams not expecting many upgrades to this car in Melbourne, it would quite frankly be a surprise if they weren't at the back of the grid at the start of F1 2019. "Clearly we don't want to be at the back again but we have always said this is a journey, it is a pathway, and other teams have done an exceptional job to maybe make greater inroads than we have," accepted team boss Claire Williams. "But we'll keep working hard to make sure we recover from where we were last year … and from where we may be currently."